August 2, 2014 - Missing IDF officer Second Lieutenant Hadar Goldin, said to have been captured by Hamas, was declared dead by Chief Military Rabbi Brig.-Gen. Raffi Peretz on Saturday, at 11:25pm. The Givati commander died in combat on Friday, August 1, 2014, in Rafah when a terrorist emerged from a tunnel in the southern Gaza Strip and detonated himself near an IDF force, killing another officer and a soldier from Givati Brigade – Major Benaya Sarel and Staff Sergeant Liel Gidoni. Defense Minister Moshe Ya'alon arrived at the Goldin family home in Kfar Saba accompanied by the head of the IDF's Human Resources Branch, Maj.-Gen. Orna Barbivai and the Chief Military Rabbi, to deliver the news. The army said the Chief Military Rabbi considered halacha, medical and other relevant considerations, as well as findings from the battlefield, before making the decision. The family was told there were enough pathological findings at the scene to declare Hadar's death, and these findings also allow his burial. The Goldin family's spokesman gave a message to the press shortly after the IDF's announcement, saying the family thanked the people of Israel for their support and asked that everyone came to his funeral, to accompany him on his final journey. Hundreds of people who gathered outside the family home in Kfar Saba earlier for a support rally received the news with shock. Some of them have started to cry. Earlier, the parents of the three Israeli teens who were kidnapped and murdered - Eyal Yifrach, Gil-Ad Shaer and Naftali Frenkel - came to visit the Goldin family as well to express their support. "We're with them during this difficult time. We're sure the IDF is sparing no effort and we're sure this is what's happening right now in Rafah, until Hadar is returned alive and well to his family. 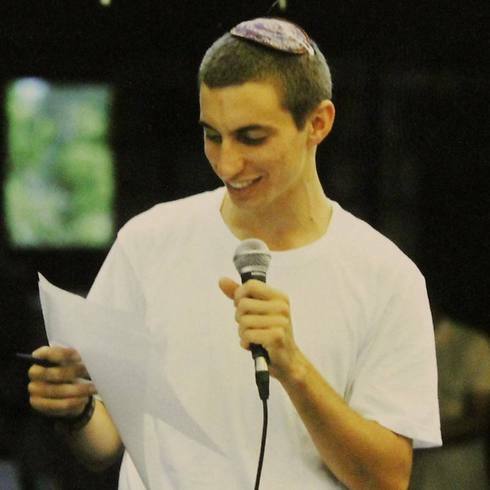 We're facing a difficult time and we will win," Avraham Frenkel, Naftali's father, said prior to the IDF's announcement. Some 300 people gathered outside the Goldin family home in Kfar Saba on Saturday night to hold an impromptu support rally. They sang Israeli songs, danced and prayed.